This is a practice test for the RBT® exam. You get two attempts at the exam. Your score and the correct answers will be displayed at the end of each attempt. These questions differ from the exam that is included in the RBT® 40 hour training. 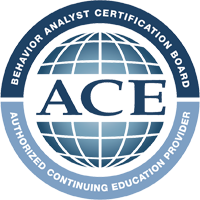 This practice test is designed to provide additional practice opportunities for those studying for their RBT® exam with the Behavior Analyst Certification Board. This practice test does not fulfill any of the requirements for becoming an RBT®.